Warning: Major spoilers ahead for Season 1 of "American Gods. 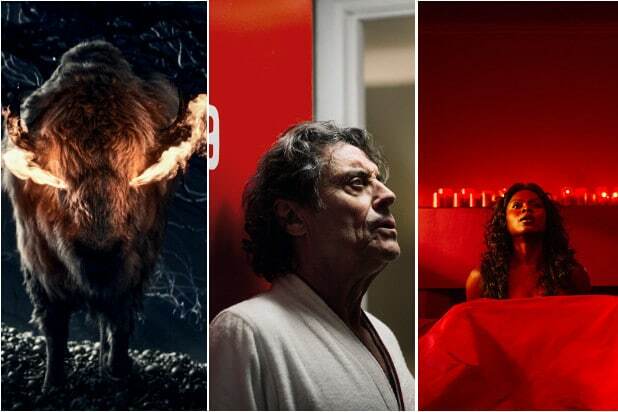 "The Gods of Starz' new series "American Gods" are all immigrants: displaced from their native lands and left to find a place in a world that doesn't always believe they exist. Neil Gaiman's novel is packed full of mythological figures and creatures from Norse, Egyptian, Irish, pagan and Christian histories. To help you out figure them out, we broke down brief histories of the Gods that'll be depicted in Season 1 and the roles they played in their traditional worlds. Mr. Wednesday (Ian McShane)Let's look at the clues. He has two ravens, can sleep wherever he wants, and only has one eye. His pseudonym is "Wednesday," which is named after a certain Norse God. "American Gods" doesn't tell immediately who is leading Shadow on a dangerous mission, but once you put it together, you realize it's the king of all of Norse mythology: Odin. He's the God of many things, including death, the gallows and battle, but also of poetry and magic. 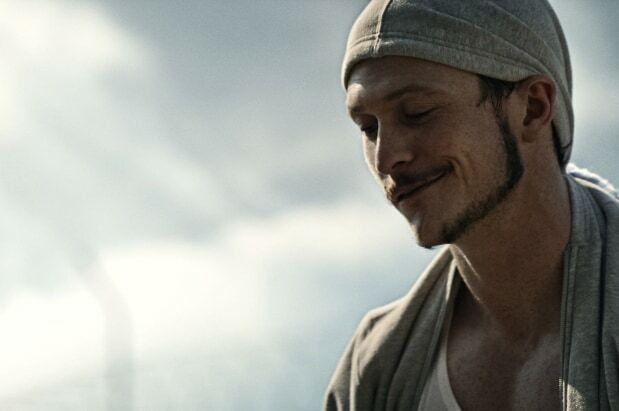 Low Key Liesmith (Jonathan Tucker)Just say "Low Key" five times fast and you'll figure out quickly which God is keeping Shadow company in prison. Like his Marvel counterpart, he is the god of mischief and destruction. He's not necessarily evil, but he's known for representing all that is against nature, and in Norse mythology, is the child of giants and the mother of Odin's stallion. Bilquis (Yetide Badaki)Bilquis is part of one of the most memorable scenes in all of "American Gods." She's called the "Goddess of Love," but her origins are based more in history and less in mythology. She's based on Bilqis, better known as the Queen of Sheba, who visited King Solomon of Israel in the Bible. As one of her visits is written in the Torah: "when she was come to Solomon, she communed with him of all that was in her heart. And King Solomon gave unto the Queen of Sheba all her desire, whatsoever she asked, beside that which Solomon gave her of his royal bounty." Mad Sweeney (Pablo Schreiber)He's not a specific God, he's a leprechaun. A tall one, but a leprechaun nonetheless. Depictions of leprechauns vary wildly, but Mad Sweeney is right in the sense that there's more to them than just the stereotypes depicted in pop culture. Czernobog (Peter Stormare)In "American Gods," Czernobog just looks like an unassuming old guy with a giant hammer. In actuality, Czernobog (or Chernobog as it is sometimes spelled) is a Slavic deity that represents night and death. You might recognize him as the demon depicted in the "Night on Bald Mountain" short in "Fantasia," where he represents pure evil. However, in reality, not much is known about his history and much is based on rumor. Zorya Vechernyaya/Zorya Utrennyaya/Zorya Polunochnaya (Cloris Leachman, Martha Kelly, Erika Kaar)In "American Gods," the Zorya are three sisters that Shadow and Wednesday hope to recruit on their mission. In mythology, they are two guardian goddesses that watch over Simargl, a Slavic demon hound. The Morning Star (Leachman) and Evening Star (Kelly) open and close the palace gates for the sun God Dažbog. There is also third sister -- Zorya Polunochnaya (Kaar) -- referred to as the Midnight Star. The BuffaloAs far as we can tell, the Buffalo with flaming eyes that appears in Shadow's dreams isn't based on any particular God or mythological figure. However, the American bison is considered a sacred animal among many Native American tribes, specifically ones that lived in the Midwest. According to the Smithsonian, bison were a major source of food, clothing and supplies to indigenous people so were spiritually connected to their way of life. Mr. Nancy (Orlando Jones)"American Gods" doesn't play coy with this trickster God's identity. Mr. Nancy is Anansi, a shapeshifting spider that is one of the most well-known characters in all of African folklore. He is described as being very cunning and able to talk or trick his way out of any situation. He's not a "God" in the typical sense, but he is a godlike figure, brought over on slave boats and in the stories of oppressors gaining control over their masters. Vulcan (Corbin Bernsen)Gaiman threw a wrench into the knowledge of book readers by introducing a new character named Vulcan. We don't know much about him but there is a god called Vulcan, who is the God of volcanoes, fire, and metalworking in Roman mythology. The Jinn (Mousa Kraish)The Jinn -- or djinn, genie, or whatever you know them by -- are supernatural beings from Arabian and Islamic mythology. In some stories, they are known for granting wishes, often with a cost. Sometimes, they're demons. According to the Quran, jinn are created by God from smokeless fire, which would explain the character's glowing. 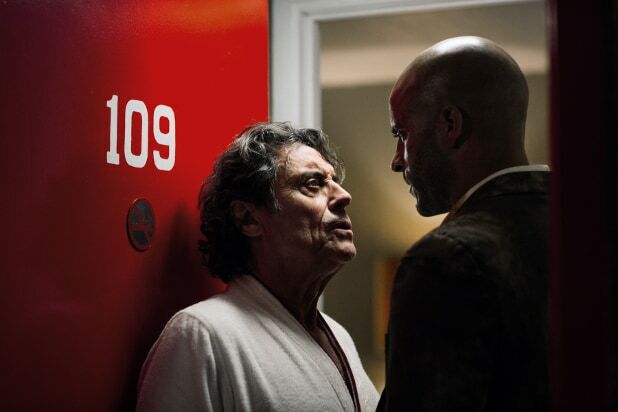 fiery eyes in "American Gods." Starz describes him as a "mythical creature of fire who understands a person's deepest desires better than they do." Mr. Ibis (Demore Barnes)The answer is in the name. Mr. Ibis -- or Thoth -- is the Egyptian God of knowledge and wisdom. He's known for having the head of an ibis, which is a kind of bird, hence the name. He's also been depicted in mythology as maintaining the universe, which would make sense considering he's the author of the "Coming to America" vignettes, which tell immigrant stories from across the centuries. Anubis (Chris Obi)He's called Mr. Jacquel in the novel, but just like his partner Mr. Ibis, the identity is in the name. Anubis' history is complex and changes over the years, but generally is the God of death in Egyptian mythology, known specifically for his relationships with cemeteries, the after-life, mummification, and embalming. Considering he makes his living in the New World as a mortician, this makes almost too much sense. Easter (Kristin Chenoweth)It makes sense that we would meet Easter in garden party garb in the "American Gods" TV show, since most of us think of the term in relation to the spring holiday and commemoration of the death and resurrection of Jesus. Easter takes its name from ostre or Ostara, a Germanic and pagan goddess and representative of one of the. Modern-day spring festivals get their name and some of their traditions from her.